As I stood on the shores of the Peace River in Northern BC this past spring, I was reminded of the incredible diversity of land and water we hold here in beautiful BC. Our children and future generations deserve to experience all of this amazing biodiversity. They deserve to know where they live and develop a connection to the place they call home. If we plan to nourish that connection then we must plan to protect it for the future. Children need opportunities to learn how they are part of this place so they don’t feel like they are separate from the rest of life that surrounds them. As Sierra Club BC’s Environmental Educator for the past 3 years, my job has been to facilitate an opportunity for children to connect with nature in their home place. Kirsten with Peace Valley farmer Arlene Boon. This year I have had the pleasure of traveling to Fort St John and visiting the Peace River Valley during the fall and springtime. My favourite experience was standing beside the Peace River and taking in all the scenery, then speaking with students about how they connect with the Peace and the surrounding area in the community of Hudson’s Hope. Students shared with me their concerns about flooding and what will happen over the next few years to their home if the Site C dam goes ahead. Students and teachers spoke of the changes they have seen already within their community due to forest fires, the pine beetle infestation and the building of hydro dams. This has all caused changes to the river and the natural landscape. Life along the river is getting tougher for these folks. Each day brings more challenges for holding onto the farms and forests, and of course their homes along the river. 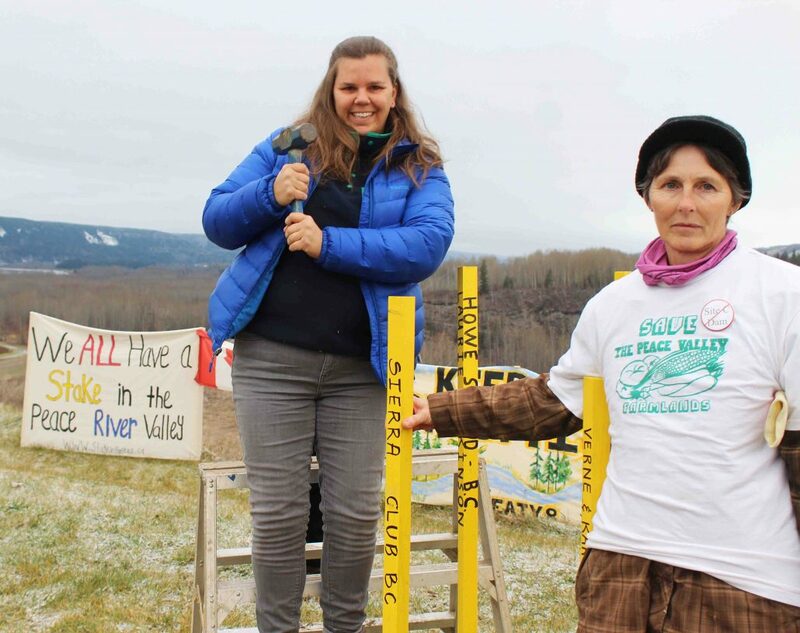 Learn how you can get involved in our campaign to stop the Site C dam and protect the Peace River Valley. As I spent more time in Hudson’s Hope I soon realized that these students have a close connection to this place. They told me stories about their favourite experiences in nature: fishing, hunting, camping and snowmobiling in the area. Some kids travel quite a long distance to school each day and many spend their time helping out on their families’ farms along the river. Kids in the Peace River Valley. Photo by Don Hoffmann. One Grade 5/6 class took me to see a local forest they love to visit. This is a place they said, where “you can always see lots of deer.” Indeed, we saw lots of deer making an appearance in the forest and foraging for food after a long winter. I took walks with students to the toboggan hill near their school each day and we used that space to explore the variety of plants and animals by doing a fun and interactive nature scavenger hunt. I believe one of their favourite activities was rolling down the hill after our closing circle. One thing I have become very aware of, no matter where you are in BC, is that finding as many earthworms as you can after a rain is truly a favourite activity! The Peace River Valley holds a dear place in my heart. I send them lots of positive thoughts as the future of the river, the wildlife and the people are at stake with decisions to be made about the Site C dam. 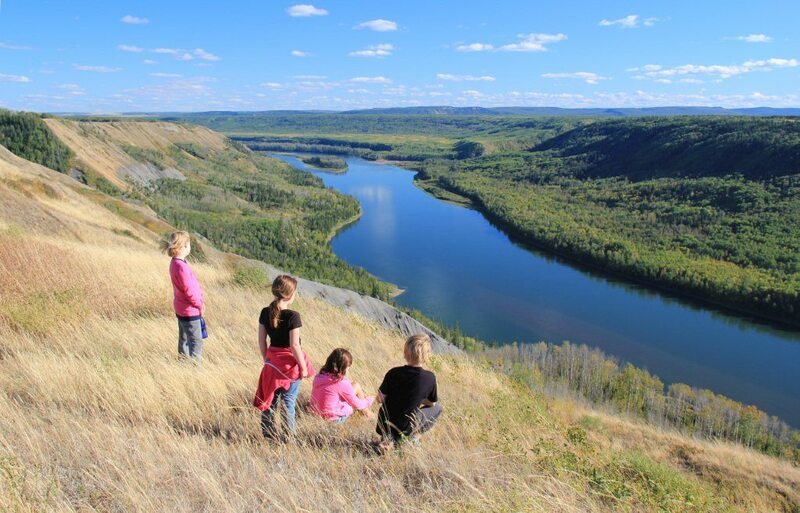 Help kids in the Peace protect the places they love – tell Trudeau to halt construction on the Site C dam. 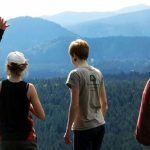 Sierra Club BC’s K-8 environmental education programs delivered in classrooms across the province are all developed to meet BC curriculum requirements and connect kids with nature in their own community. I encourage you to check out our upcoming programs and keep connected to receive updates regarding fall registrations. This has been a very rewarding year for the education team with the hire of our new program manager and the success of our Climate and Place pilot program delivered in the CRD. I look forward to connecting with all of you in the fall. Enjoy a wonderful and relaxing summer in the great outdoors. Donate today to help us reach more children next year!